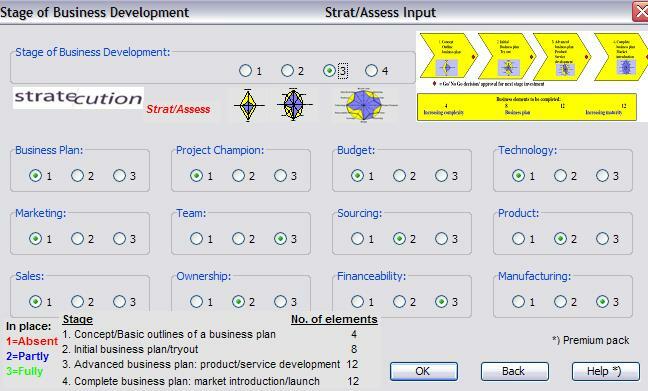 Process survey tool - Stratecution B.V.
ARE YOU AMBITIOUS AND DO YOU LIKE A CHALLENGE? DO YOU STRIVE TO ACCELERATE YOUR BUSINESS? ACCELERATE! NOW! SPEEDING UP YOUR INNOVATIONS AND INCREASE THE HITRATE? The Strat/Assess model provides in 1 A4 a complete picture of the project status and/or the entire company. 2. Leads to improvement plans aiming for the desired state. 4. 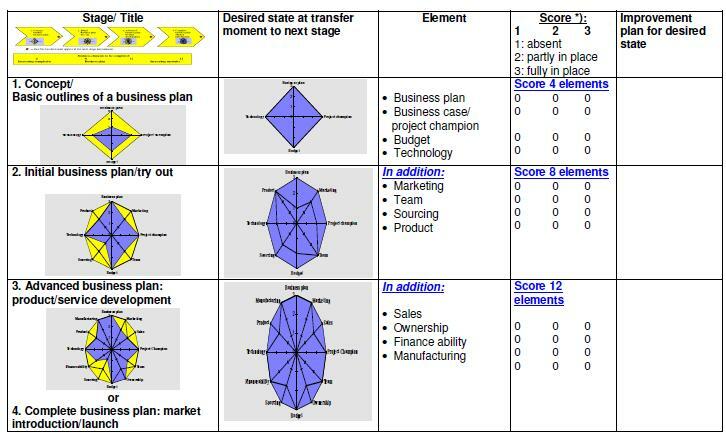 Measurement of the maturity of the business plan or existing company.